Congratulations! 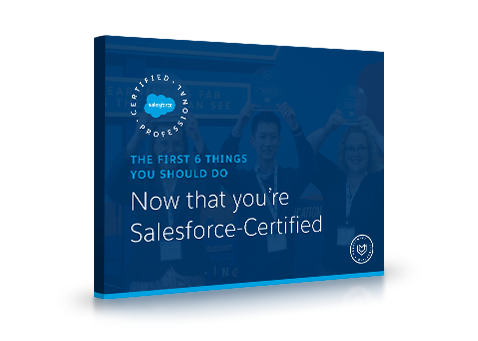 You’re Salesforce Certified. But now what? The hard work and dedication paid off, and now you’re an official Salesforce Certified Professional. You probably spent so much time focusing on the certification exam, you may not have really considered what comes next. Download this handy eBook to read the 6 things we think you should do right away.